At Marellan, we don't select cow to flush if they are the 'newest, freshest or hottest genetics'. We only select functional, proven and predictable cows to be donor cows. Our current strategy is to increase our Embryo Transplant numbers to increase the genetic gain from the cows that are proving their 'northern relevance'. A magnificent cow. Great skin, feet, udder, performance and femininity. Camelot 5214 (P) has the rare distinction of having 3 daughters in 3 consecutive years that were all the number 1 female in their respective peer groups. Each of these 3 daughters calved in the first week of calving and quickly re-bred. Camelot 5214 is our all time favorite Theodore daughter. Two of her daughters, Camelot 9055 and Camelot 0078 are also donor cows. A super feminine female. She has the rare distinction of being both extremely high figured and extremely functional. Ida 8364 is the ONLY female in the breed with a BW EBV of less than +1.0, 600D over +50, EMA over +5.0, and an IMF of at least +0.8. She also has positive fat figures. Ida 8364 is the dam of the 2014 Dubbo National Champion Bull for the Eloora Stud (from a flush purchased from us). Other top progeny include Marellan Rabbi (2016 Bull Sale), Marellan Ida 2012 and Ida 1318. A 11 yr old cow that has a just entered our embryo transplant program. She has a flawless calving record (1st﻿ calf at 23 months and every year since (until she entered our ET program in 2015), productive longevity and she has a Tick Magnet Score of 1. (see picture). 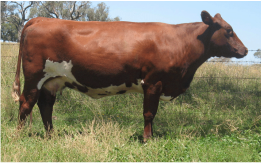 A robust, soundly made, moderate framed and muscular cow that has easily transitioned to the ticky area of Central Queensland. 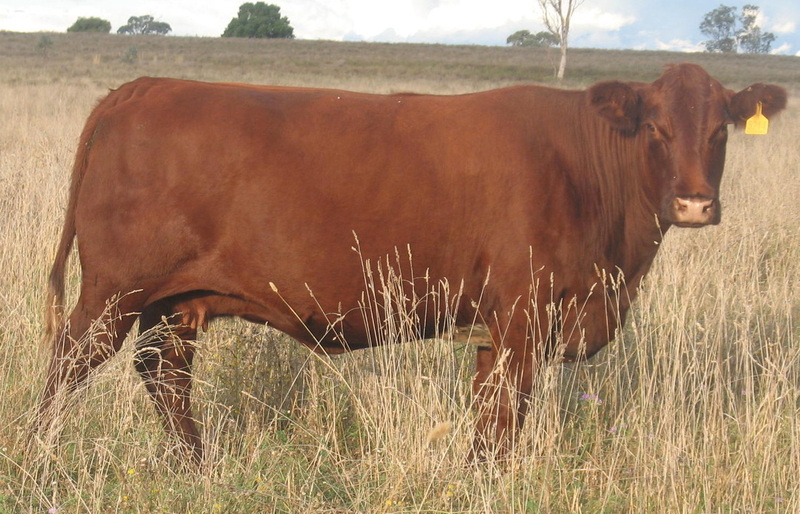 Molly 5027 has many outstanding descendants including Marellan Molly 2137, our display cow for Beef 2015. A daughter, Molly 9165 has also been flushed. Deceased. 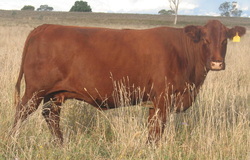 A real beef cow that still retains the femininity needed to be a potent breeder. She is the dam of Nicodemus, Prince Caspian and our best for 2015, Queensland Red. 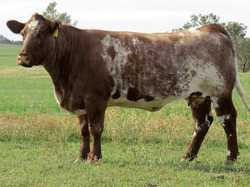 Isobel 7152 has over 10 generations of Marellan breeding on both sides of her pedigree. Please note, the high tail in the photo was a result of numerous Embryo Transplant programs. Two daughters, Isobel 2018 and Isobel 3225 are now donor cows.